To make the vinegar simply put all of the ingredients in a sealed container for a minimum of one week before using. 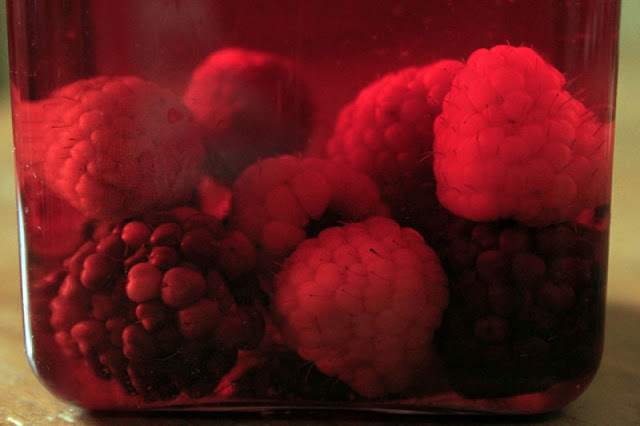 I transferred mine into a drizzle bottle with a few leftover berries to increase the flavour and add more colour. Do not use metal utensils while making this. 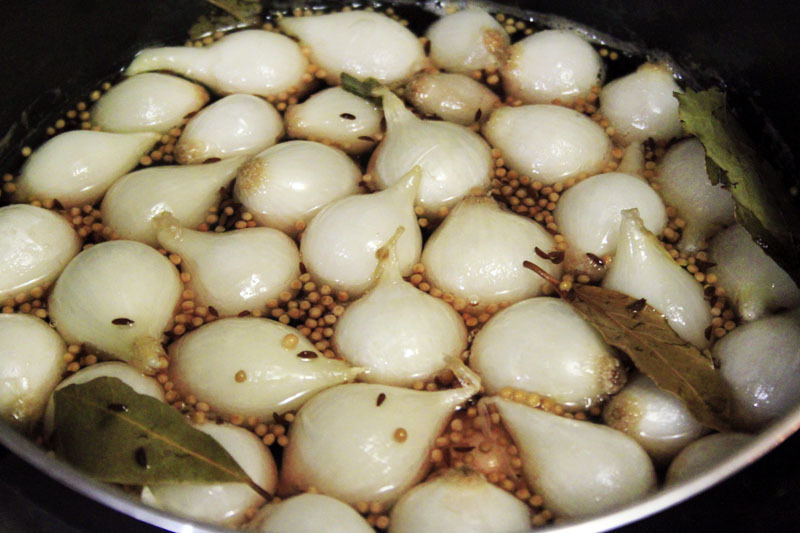 To begin pickling prepare two bowls; one for the onions and another half filled with ice and water. 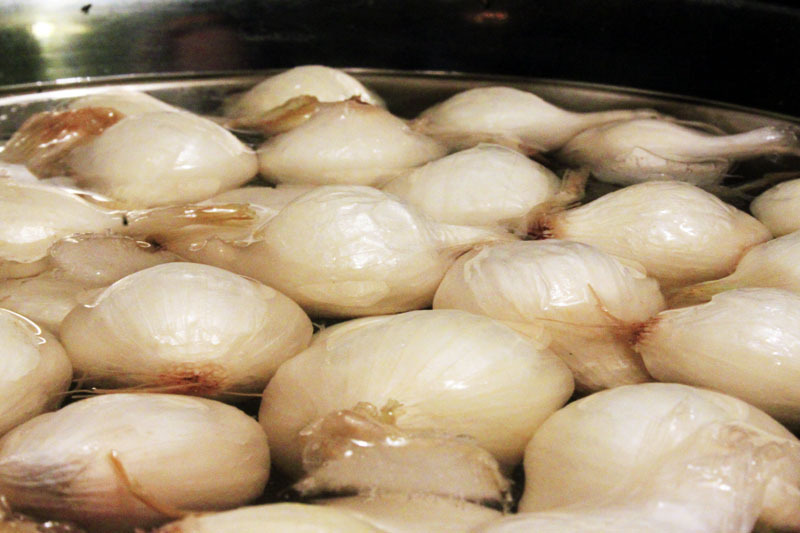 Cover the onions in boiling water for 30 seconds, strain then transfer into the bowl of ice water. Remove them from the water and begin peeling. In a large pot bring sugar, salt, vinegar, water, mustard seed, caraway seed and bay leaves to a boil. Add the onions and boil for 5 minutes. 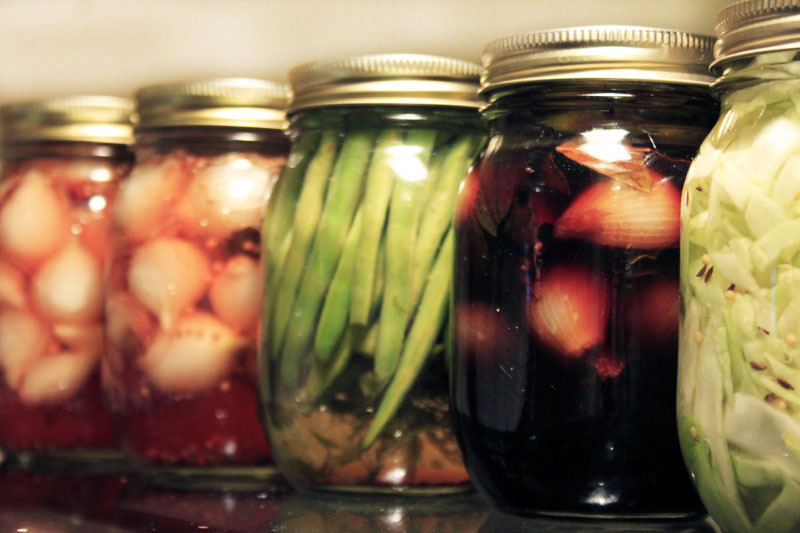 Using a slotted spoon, transfer the cooked onions into two sterilized 500ml mason jars, leaving 3/4 space from the rim. 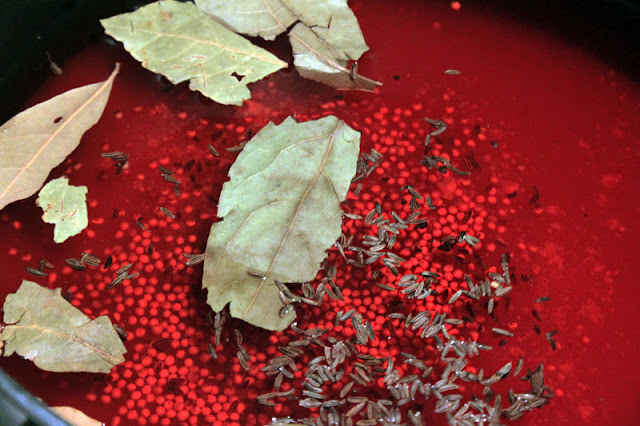 Add one fresh bay leaf to each jar then pour the hot pickling liquid into each one leaving 1/2 inch of space from the rim. 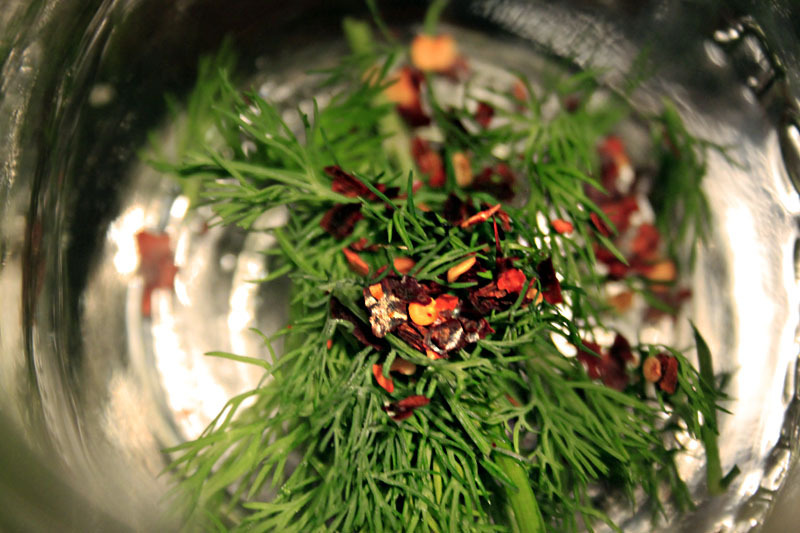 Same as the onions, prepare two bowls; one for the shallots and another half filled with ice and water. 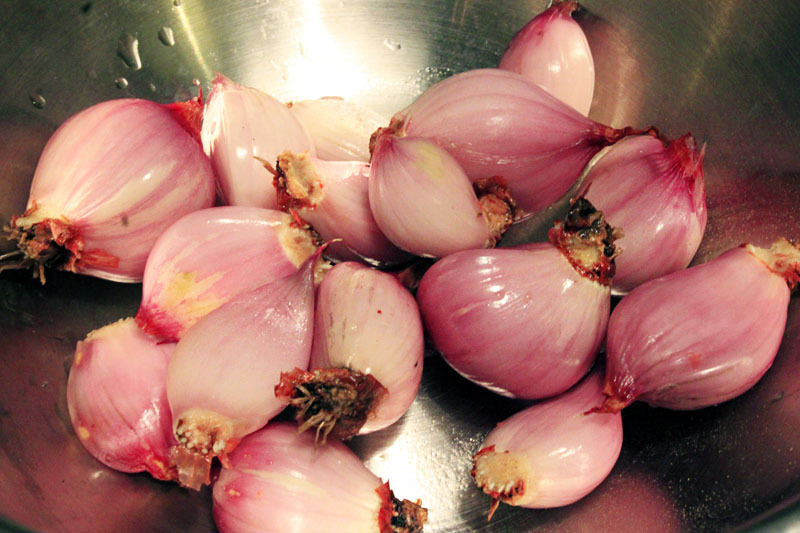 Cover the shallots in boiling water for 30 seconds, strain then transfer them into the bowl of ice water. Remove them from the water and begin peeling. Bring all other ingredients except for the balsamic to a boil in a pot, reduce heat and let simmer for three minutes. Add the peeled shallots and simmer for eight to ten minutes. With a slotted spoon scoop out the onions and pack into a 500ml sterilized mason jar. 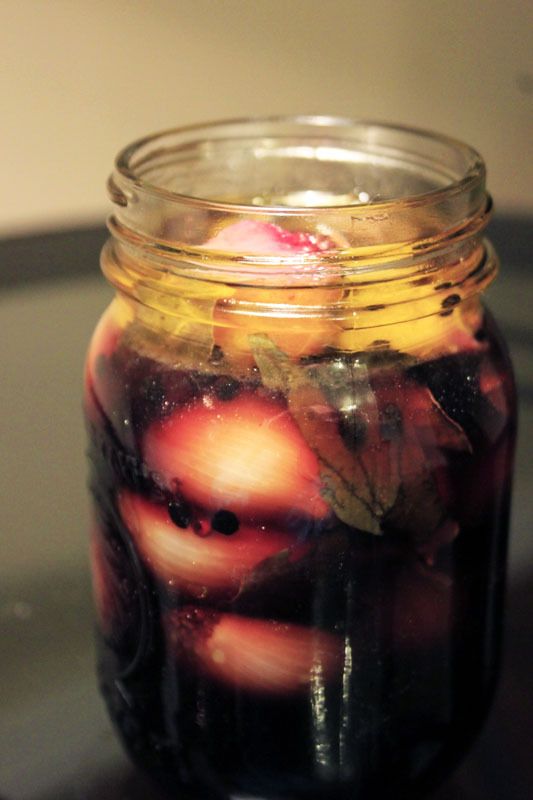 Let the pickling liquid boil rapidly for five more minutes, turn off the heat and stir in the balsamic vinegar. 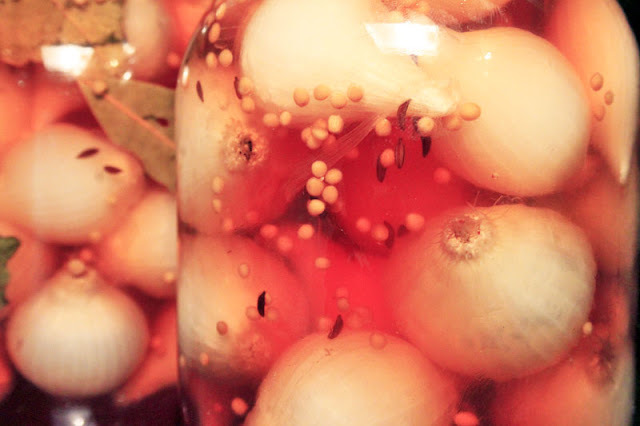 Pour the hot liquid over the shallots leaving 1/2 inch space below the rim. Screw on the lid and seal by pressure cooking for 30 minutes. They will be ready to use in three days. 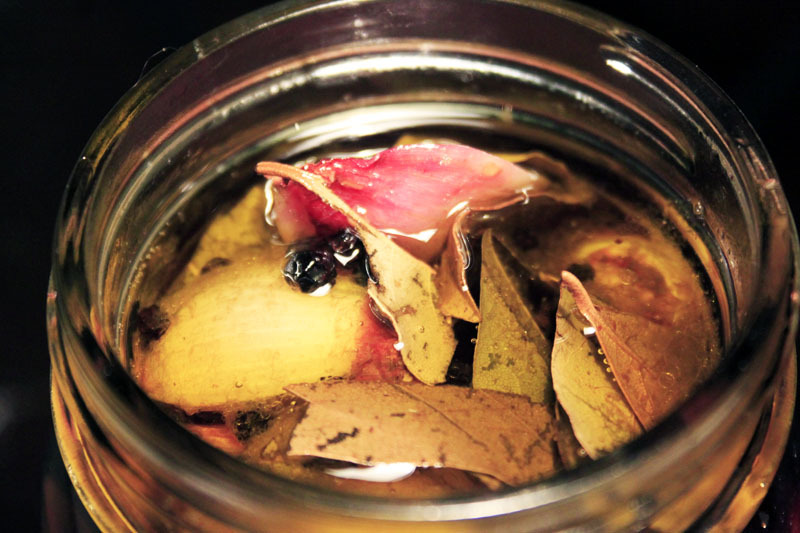 To make the vinegar simply put all of the ingredients in a sealed container for a minimum of one week before using. 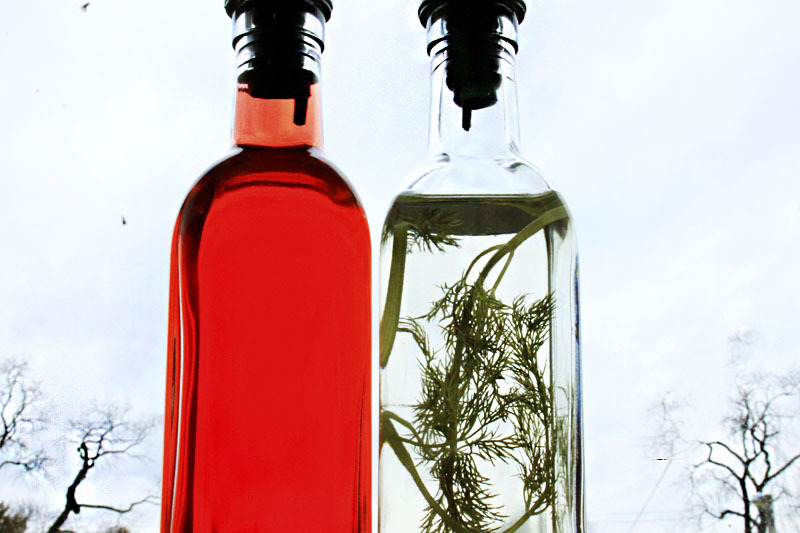 I transferred mine into a drizzle bottle with a few new dill and garlic to increase the flavour. Don't use metal utensils while making; strictly wooden or bamboo. 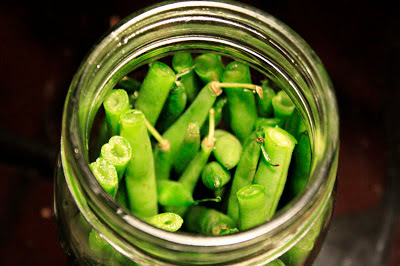 Wash and trim beans a 1/4 inch shorter than the height of 500ml mason jars. Place two sprigs of dill and a 1/8 teaspoon of chilli flakes in each jar, then tightly pack in the beans. 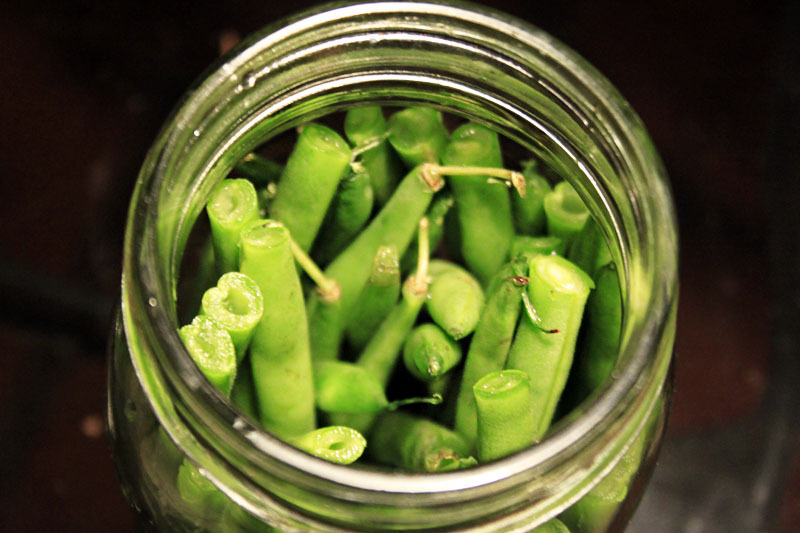 Bring the vinegar, water, salt and garlic to a boil and pour over the beans, leaving a 1/4 inch space from the rim. Lid the jars and pressure cook for 30 minutes to seal. Let them ferment 3 weeks before opening. If you don't have a pressure cooker at home you can use a pot with a lid and water. 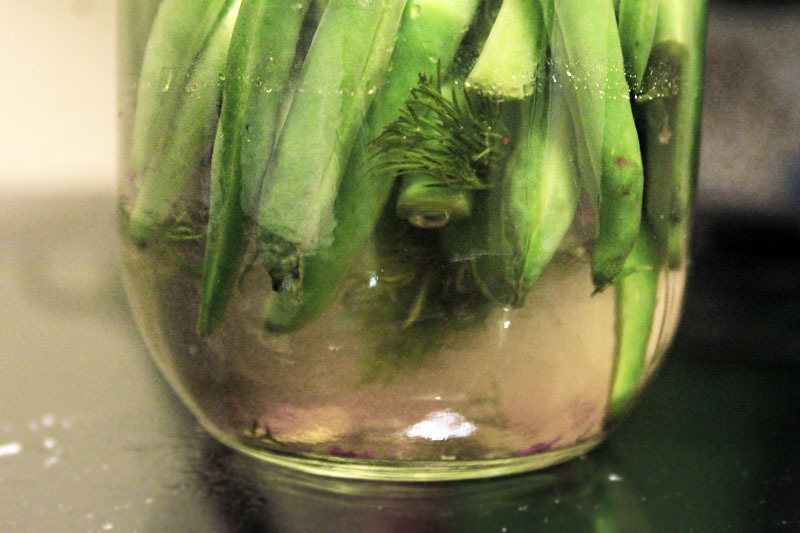 When placing the jars in the water they need to be submerged in at least 3 inches, so take into account displacement when filling up the pot. First bring the water to a boil then reduce to a simmer before placing the jars, otherwise they can crack due to temperature shock. 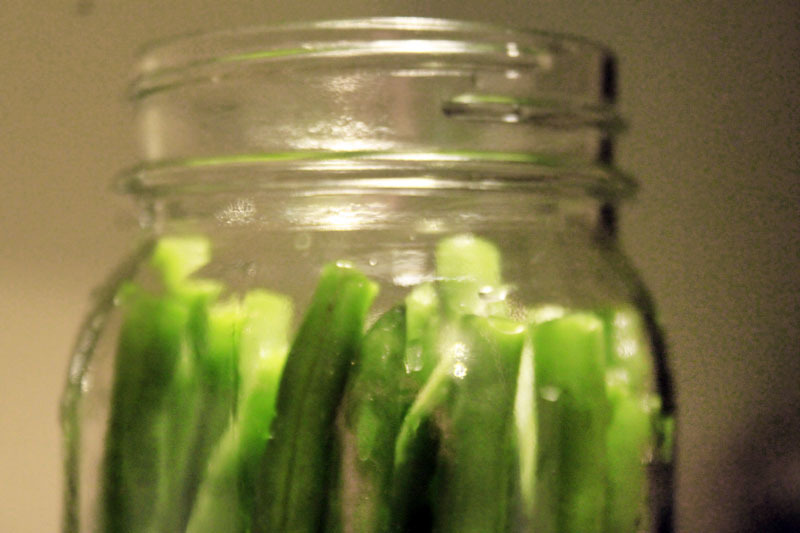 Once simmering, gently place the jars in the pot, cover with the lid and leave for 30 minutes. 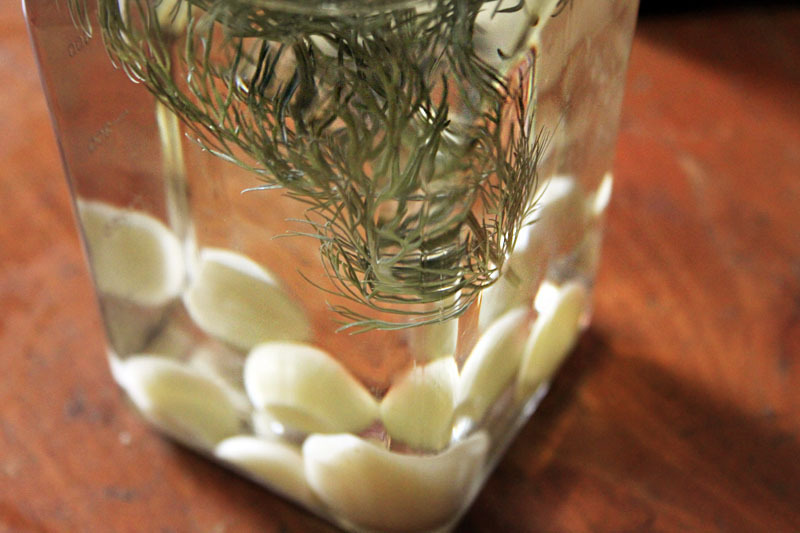 I find that some jars need longer so it's always a testing game. Sometimes you will hear a pop and that means all of the air has been sucked out of the jars, and therefore sealed. Sometimes they don't and you just need to let them rest for a few minutes. You know they are sealed when the lid is tight and flat (you won't be able to click it up and down).